Duc wooden baking mould from Panibois 175x110x60mm, made from poplar wood with lining paper. These moulds are designed for baking and presentation of breads and cakes and are fully biodegradable. Wooden baking mould from Panibois®, the "Duc" measures 175x110x60mm, suitable for doughs of 500g, made from Poplar, complete with shaped lining paper. 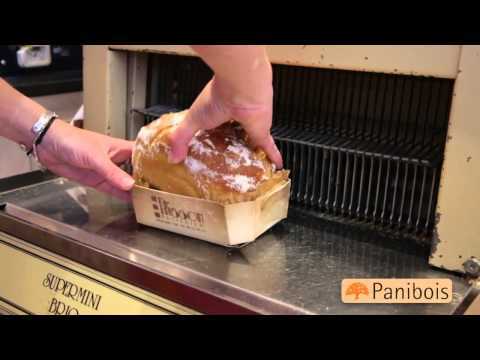 These fully biodegradable moulds are designed for the baking and presentation of breads and cakes for friends and retail - and not just for bread: these are used for the display of various products in Harrods, including their shepherd's pies.. Panibois® baskets are designed for oven temperatures up to 240°C. A delicious malt loaf recipe using Duc moulds can be found here and an apricot loaf here.